Updated March 18, 2018 . 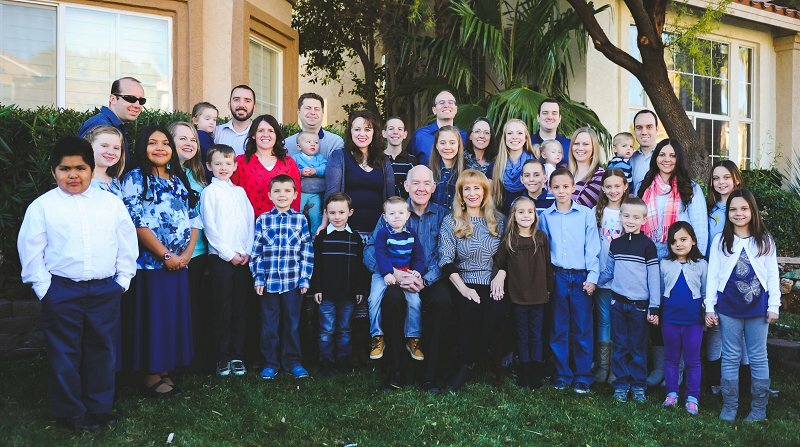 Six children, six children-in-law, and 22 grandchildren. This photo was taken 27 December 2017. Children (Generation 2): Andrea, Michelle, Adam, David, Mark, and Matthew. Children's Spouses: Tim (Andrea); Brian (Michelle); Celeste (Adam); Kristen (David); Kathryn (Mark); and Amy (Matt).